Technology is redefining the role of the management accountant while changing the business landscape and the management accounting profession at an unprecedented speed. To prepare future professionals, management accounting education must change as well. The newly revised Management Accounting Competency Framework, published by IMA® (Institute of Management Accountants), can help provide guidance on how to accomplish this feat. 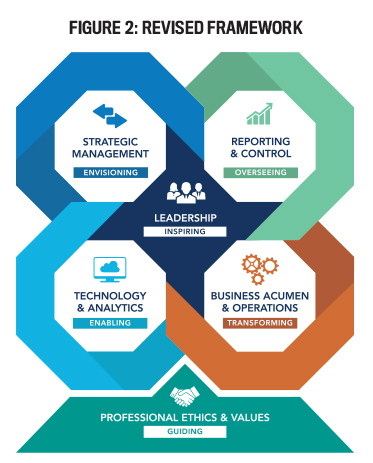 In 2016, to help its members, students, and the profession at large prepare for careers in management accounting, IMA published its Management Accounting Competency Framework. 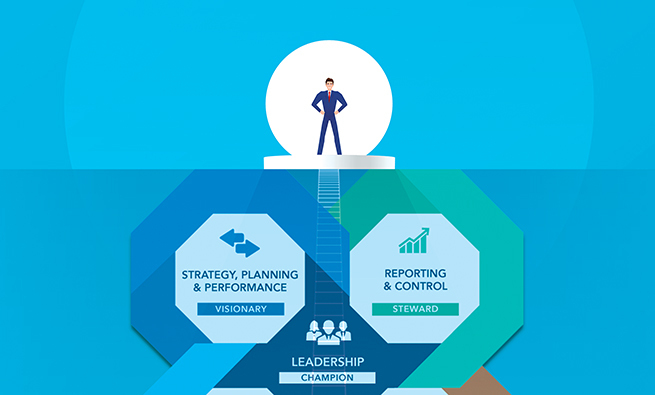 The Framework is a continuation of IMA’s ongoing research that explores the changing role of management accountants and competencies these professionals need for career success. This research has documented the ongoing evolution of the role of the management accountant from an accumulator and reporter of financial information to being a more strategy-oriented business partner. The Framework encompasses five domains of knowledge: Planning & Reporting, Decision Making, Technology, Operations, and Leadership. It’s the foundation of IMA’s CareerDriver® tool, which helps finance and accounting professionals self-assess their competencies and prepare themselves for career advancement. Since the publication of the Competency Framework, the field of management accounting has experienced considerable change. We can think of this change as being four “lines of sight” for finance teams: oversight, insight, hindsight, and foresight. Oversight, a traditional CFO role, includes resource allocation, ensuring a healthy financial profile for future investment, and more. Hindsight entails looking backward to influence the future in a positive way—in other words, using historical data for future projections. Insight involves turning information into intelligence; it’s where business partnering begins. Foresight is where finance professionals play a leading role in anticipating the future and helping their organizations envision the future. It includes strategic planning, competitive moves, and innovation. For today’s finance functions, being able to provide foresight is increasingly important and expected. 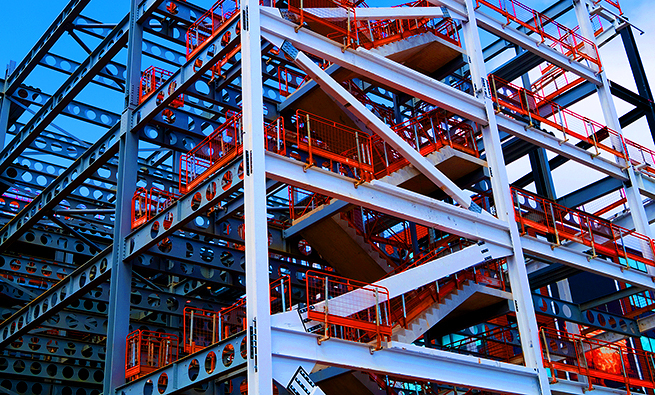 A key factor driving this change is the relentless evolution of technology. While technology has always been an important part of the management accountant’s skill set, that importance is increasing dramatically. Technological advances are reducing, and in some cases eliminating, many of the routine tasks performed by management accountants, freeing them to add more value as business partners with the rest of the organization. Strategic management, which includes strategy formulation, validation, and implementation, is becoming an essential competency for management accountants to possess. To succeed in their evolving role, management accountants will need to employ more sophisticated analytics. In the past, they provided descriptive and diagnostic statistics. 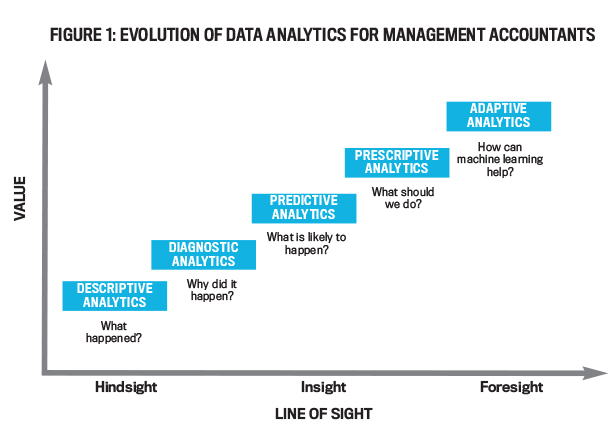 Today, as shown in Figure 1, they must move to the higher end of the analytics continuum—to predictive, prescriptive, and adaptive analytics. But they require new competencies to be able to perform this type of analysis. Therefore, it’s essential that management accountants acquire these skills in order to be relevant and “fit for purpose,” not only today but also for the future. 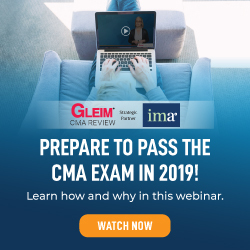 To ensure that its Competency Framework reflects the current and future competencies management accounting professionals need, IMA formed a task force that was charged with examining the changing practice landscape and proposing any necessary changes. After an extensive process (which included a review of primary and secondary research, focus groups, and extensive deliberation), the task force has developed a revised Framework, depicted in Figure 2. A description of each of the six competency domains is shown in Figure 3. New Strategic Management and Reporting & Control competency domains. These domains encompass the prior Planning & Reporting and Decision Making domains, but they better segment core finance and accounting responsibilities (Reporting & Control) from the competencies that guide the future of the organization (Strategic Management). Expansion of the Technology domain to include Technology & Analytics. 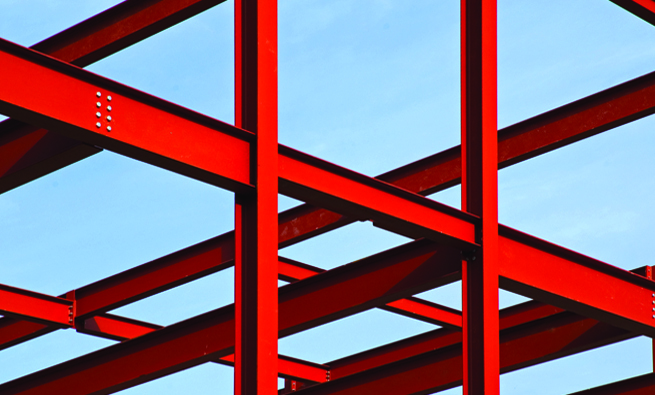 The change in the name of this domain is more than just including analytics. 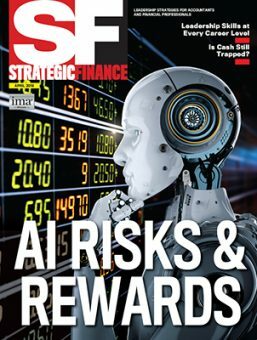 As Big Data matures, accounting and finance professionals now have at their disposal vast amounts of data that can be exploited to create value for their organizations. Management accountants will need knowledge of data extraction tools for mining structured and unstructured data. They’ll need to be able to employ data analysis tools that help collate, manage, and analyze this data for data visualization and storytelling. Given the rapidly expanding universe of data, there will be dramatic changes in the skills management accountants need in this area. A comparison of these competencies included in the original and new Frameworks (see Figure 4) reflect this change. Information Systems includes using technology to effectively control operational and financial processes, solve problems, analyze data, and enhance business performance. This competency encompasses familiarity with Big Data, data storage, systems architecture, and database management in addition to enterprise resource planning (ERP) systems, the cloud, and new and emerging technologies. New competencies are required to combine and analyze data from various sources. Data Governance ensures the availability, utility, integrity, and security of data. Management accountants must understand and influence the governance of technology, including data and cybersecurity. Organizations must implement controls such as penetration and vulnerability testing to detect and thwart cyberattacks. Management accountants understand the flow of data throughout its life cycle, and they will need to oversee processes to protect the privacy and integrity of stakeholder data. Data Analytics includes the extraction and analysis of data using quantitative and qualitative techniques to gain insights, improve predictions, and support decision making. While the required level of competency may vary for management accountants, at a minimum it must include knowing what types of analytical models are available (for example, deep learning vs. logistic regression) and to what business problems they can be applied. Beyond that, important, perhaps essential, skills include the ability to transform raw, unstructured data into a form more appropriate for analysis (data wrangling), the ability to mine large data sets to reveal patterns and provide insights, and the ability to interpret results, draw insights, and make recommendations based on analysis. Data Visualization is the ability to present data in a visual context to make patterns, trends, and correlations stand out and be easier to detect so users can make better decisions. Management accountants must evaluate data visualization options and select the best tool for presentation to stakeholders. They need to make analysis of complex data accessible through simplicity of design, using increasingly sophisticated visualization applications such as Tableau, SQL Server Reporting Services (SSRS), and JasperSoft. Additionally, management accountants need to be able to combine data visualization with “storytelling” in order to strengthen insights and drive action within their organizations. Expansion of Operations domain to Business Acumen & Operations. This change reflects what management accountants need to understand about an organization’s operations so they can partner effectively with others to create value for their organizations. Strategic business decisions need to be based on the integration of data and professional judgment as applied to differing business environments. Addition of Professional Ethics & Values competency domain. While Ethics was included in the original Decision Making domain, the Framework noted that Professional Ethics permeated all the other competencies in the Framework. Given the importance of this competency, the new Framework explicitly identifies it as a separate competency domain that underscores the other five domains. To what extent does my school’s curriculum prepare students for long-term career success? Many schools’ accounting curricula spend extensive amounts of time covering external-reporting requirements. While perhaps preparing students for their first job in accounting, this knowledge is the most perishable, changing over time as external-reporting standards evolve. More importantly, schools need to help students develop competencies that will benefit them throughout their careers, such as critical thinking, communication, and leadership skills. Does my school’s curriculum reflect the business-partnering role of management accountants? Too many schools offer a curriculum focused on an outdated concept of the role of management accountants. Their management accounting curriculum is focused too much on coverage of cost accounting techniques oriented heavily toward external financial reporting. These schools are doing their students a disservice by preparing them for a rapidly disappearing role. Accounting’s value proposition can be defined in terms of strategy formulation and analysis, planning, and execution. Effective managers need to understand how to help formulate, analyze, and execute strategies that enable their organizations to succeed. Technological changes will enable management accountants to be valued business partners with the rest of the organization by drawing on their strategic management skills. Other related competencies, including communication and teamwork, are increasingly important as management accountants progress in their careers. To what extent does my curriculum cover essential technological skills? While rudimentary analytical skills may have been acceptable in the past, the management accountant of the future will need to possess more advanced skills in order to succeed. We can debate the extent to which management accountants need to possess data science skills, but it’s clear that having a greater knowledge of these skills will enable someone to pursue a greater variety of career paths. 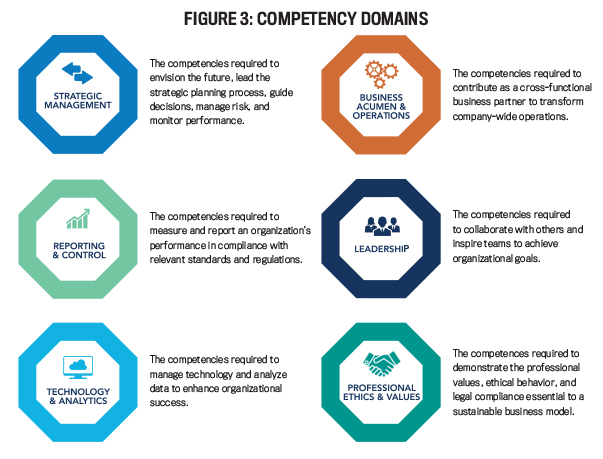 Essential competencies will encompass those included in the Competency Framework’s new Technology & Analytics competency domain: Information Systems, Data Governance, Data Analytics, and Data Visualization. With regard to curricula, while some exposure to coding is important, it’s essential to first learn the concepts of how data is created, manipulated, and moved through an enterprise. Once someone has mastered these skills, basic knowledge of programming languages such as SQL, Python, and R becomes increasingly important. To what extent is professional ethics integrated in my curriculum? History has repeatedly shown the importance of ethical behavior to the long-term success of organizations. The ongoing digital transformation of our profession will only increase the importance of management accountants being able to make ethical choices. As mentioned earlier, automation of routine transaction processing will increase the opportunity for management accountants to serve as business advisors, focusing on more strategic issues that often possess an ethical dimension. Yet this transformation will bring with it new ethical issues that accounting and financial professionals must address. Regardless of the extent to which technology replaces or supplements humans, ethical judgment still will be required. This is especially true as professionals move from performing routine tasks to more value-added responsibilities where professional judgment, including ethical judgment, will be required. As we enter the digital age, where data has the ability to create vast stores of value, ethical use of that data is of increasing concern. Management accountants will need to be able to identify business situations that involve ethical dilemmas, understand the standards and principles outlined in the IMA Statement of Ethical Professional Practice, and generally help foster an organizational culture of ethical behavior and accountability. Interpersonal and communication skills will be increasingly important. Is my school rethinking its coverage of these competencies in my curriculum? Because the greater transparency of the new “digitized” business environment will enable greater collaboration and teamwork, management accounting professionals will need to be adept at collaborating and working on teams. This greater interdepartmental collaboration will also create a greater need for negotiation and conflict management skills. Though communication skills have always been important for accountants, the advent of new technologies will make the ability to communicate effectively even more important. Management accountants must be able to communicate with impact, have the ability to influence others, and be able to use effective communication techniques. New and emerging technologies will change the channels of communication from and across systems—for example, through the use of social media and smart devices. Also, some salespeople are now able to access a customer’s past purchases and payment history on their mobile device, are able to access the cost of each product, and thereby are better able to compete in the marketplace. Additionally, accounting and finance professionals will need enhanced communication skills in order to better understand managers’ changing information needs and their key performance metrics. They must be able to help managers understand the information provided by analytical models by translating analysis into a format useful for business decisions. They also should be able to discuss how new information can improve decision making. And they will need to be able to work with both IT and analytics professionals to scope out projects and determine data and modeling requirements. Working together with others on an interdisciplinary team will help enable accounting and finance professionals to uncover opportunities and create value. To what extent do my curriculum and instructional methodologies foster the development of higher-order learning skills? Analytical thinking and problem solving are competencies that enable accountants to conduct research, identify alternatives, objectively and logically evaluate data-driven and qualitative evidence related to specified options, and apply professional judgment. This competency requires accountants to be able to define a broad range of alternatives, including the effect on stakeholders; to provide objective evaluation of the strengths and weaknesses of evidence and the alternatives; to incorporate risk and uncertainty; to evaluate decisions within the context of organizational strategies; to remain open to constructive criticism and minority viewpoints; and to do all of these while incorporating professional values, ethics, and attitudes, as well as other management accounting competencies. 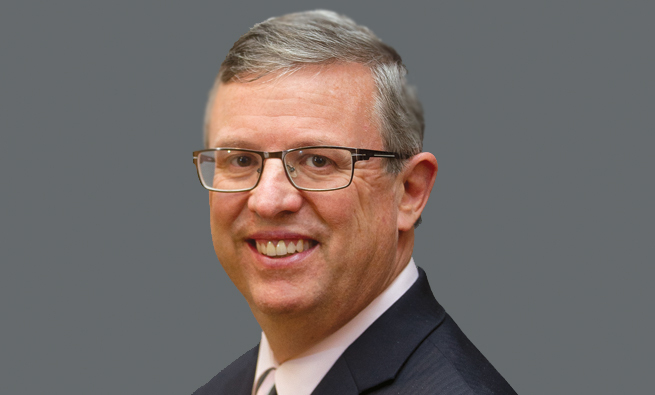 In addition, as accounting and finance professionals become more involved in the strategic planning process, there’s a greater need for professional skepticism with regard to the inputs and assumptions in that process. The ability to employ critical thinking will be increasingly important as the role of the management accountant continues to evolve. Does my curriculum help students develop competencies in an integrated manner? In delivering their value proposition of strategy formulation and analysis, planning, and execution, accountants increasingly need to draw on their various skills in an integrated manner. For example, accounting and finance professionals responsible for financial reporting may see their responsibilities expanding to include reporting on risks, pro forma performance measures, and sustainability. Similarly, tax accountants will spend less time preparing tax returns and more time developing tax strategies to improve the organization’s financial performance. In an increasing number of business situations, accounting and finance professionals need to draw on their competencies in an integrated way. Do my school’s business model and course offerings reflect the changing education landscape? The availability of new technology will require accounting and finance professionals to exercise creativity and be innovative with regard to new business models in order for their organizations to remain competitive. The same is true for educational institutions. Rapid technological change will require a greater commitment by management accountants to lifelong learning in order to maintain professional competence. This will present an opportunity for institutions looking for additional revenue-generating opportunities. How can your institution help practicing accountants enhance their skills? The fast-changing business environment will also require management accounting professionals to acquire skills more rapidly. This will create opportunities for schools to develop just-in-time “nano” learning offerings. Besides offering semester- or quarter-long courses, consider offering—perhaps online—short, focused, learning opportunities. 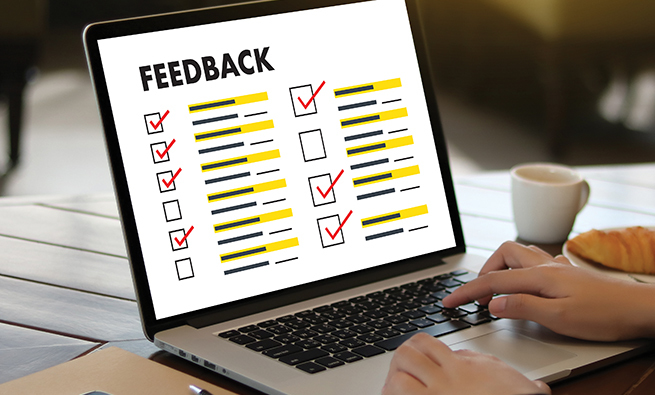 A suggestion that’s applicable to both practitioners and academics is to start by reviewing the exposure draft of the revised IMA Management Accounting Competency Framework. Are there areas that need to be enhanced, that need to be reduced in importance, or that have been overlooked? The exposure period is open until September 17, 2018, and comments are welcome and will be considered in finalization of the Framework. Visit www.imanet.org/framework to view the exposure draft. Please send comments to framework@imanet.org. If you’re an accounting educator, assess the curriculum in the courses you teach against the Framework. How well are you preparing your students for their careers, some of which may be coming up soon? Especially important is the question of the extent to which you’re including technology in your courses. Technology shouldn’t be confined to a single course but integrated throughout the curriculum. Also, as accounting educators you should start or continue the discussion in your departments about how well you are preparing your students for their future careers. To what extent is your school including emerging competencies in your curriculum? It’s an exciting time to be part of the management accounting profession as it’s facing great challenges along with great opportunities. Both educators and practitioners can overcome the challenges and exploit the opportunities by ensuring that future management accounting professionals possess the competencies they need to succeed. We all need to do our part! Very interesting piece. More power to your elbow. Dr. Lawson, thank you for the much needed thought leadership on future proofing Management Accounting competency requirements! As a proud CMA and a data analytics practitioner I can attest to the need of closing the technology and analytics gap. In fact, I would venture to think that most IMA members already possess or are working towards developing their Strategic Management, Reporting, Business Acumen, Leadership, and Ethics knowledgebase; while potentially overlooking the importance of mastering Technology and Analytics pillar.